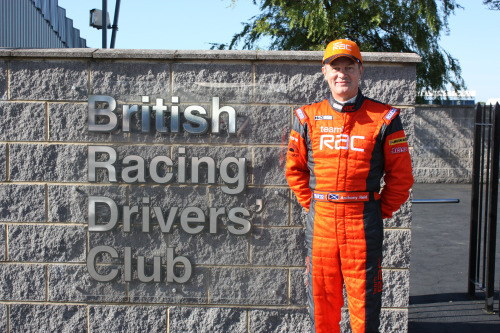 British Touring Car legend Anthony Reid has made a popular return to the HiQ MSA British Touring Car Championship with Team RAC at Silverstone today. Joining Anthony on track was fellow BRDC Full Member Johnny Herbert who is making his BTCC debut with Team Dynamics. James Thompson has been driving with the team at the beginning of the season but misses the Silverstone rounds due to racing commitments in the V8 Supercars in Australia. James also made a return to the World Touring Car Championship in Porto last month. Anthony was last in the BTCC in 2004 in the West Surrey Racing MG ZS was 16th in first practice. Johnny, who was this season’s Speedcar runner-up, has made his British Touring Car debut this morning and finished 17th in practice. The final of the World Aerobatic Championships is also taking place at Silverstone today with the Freestyle competition.